The federal regulatory policy in use today for biotechnology products, known as the Coordinated Framework for the Regulation of Biotechnology, was created in 1986 through a joint effort between the U.S. Department of Agriculture (USDA), the Environmental Protection Agency (EPA), the Food and Drug Administration (FDA), the National Institutes of Health (NIH), the National Science Foundation (NSF), and the Occupational Safety and Health Administration (OSHA). At that time, the overarching group, the Biotechnology Science Coordinating Committee (BSCC) sought to ensure the safety of genetically modified crops, manufactured food, medicine, pesticides, and other uses. Within USDA, the Animal and Plant Health Inspection Service (APHIS) is responsible for protecting agriculture from pests and diseases. Under the Plant Protection Act (PPA) and the Animal Health Protection Act (AHPA), USDA-APHIS has regulatory oversight over products of modern biotechnology that could pose a risk to plant and animal health. The AHPA provides authority to prohibit or restrict imports or entry into the United States or dissemination of any pest or disease of livestock. GE animals and insects would be subject to import or transport restrictions if there is a risk to animal health. The PPA, as amended, provides authority to regulate the introduction (i.e., importation, interstate movement, or release into the environment) of certain GE organisms and products. A GE organism is considered a regulated article if the donor organism, recipient organism, vector, or vector agent used in engineering the organism belongs to one of the taxa listed in the regulation and is also considered a plant pest. A GE organism is also regulated when APHIS has reason to believe that the GE organism may be a plant pest. A GE organism is no longer subject to the plant pest provisions of the PPA or to regulatory requirements when APHIS determines that it is unlikely to pose a plant pest risk. The EPA under the Federal Insecticide, Fungicide, and Rodenticide Act (FIFRA) and the FD&C Act regulates the sale and distribution of all pesticides, including those produced through genetic engineering. This includes microorganisms, biochemicals isolated from organisms, and plant-incorporated protectants (PIPs), a type of pesticide intended to be produced and used in living plants. Under the Toxic Substances Control Act (TSCA), EPA has oversight responsibilities for a wide range of commercial, industrial, and consumer applications of microbial biotechnology. New chemicals produced through those microbial biotechnology applications are subject to premanufacturing review under TSCA. In July of this year, the Executive Office of the President issued a memorandum directing the primary agencies that regulate the products of biotechnology—EPA, FDA, and USDA—to update the Coordinated Framework, develop a long-term strategy to ensure that the Federal biotechnology regulatory system is prepared for the future products of biotechnology, and commission an expert analysis of the future landscape of biotechnology products to support this effort. This memo comes as gene editing technology advances once again with the advent of the easily adaptable CRISPR, TALEN, and zinc finger nuclease methods. In response to this memo the White House Office of Science and Technology Policy issued a request for information to “solicit relevant data and information, including case studies, that can assist in the development of the proposed update to the Coordinated Framework for the Regulation of Biotechnology (CF) to clarify the current roles and responsibilities of the EPA, FDA, and USDA” to develop a long-term strategy. Responses must be received by November 13, 2015, at 5 pm ET and can be submitted through the Federal eRulemaking Portal. 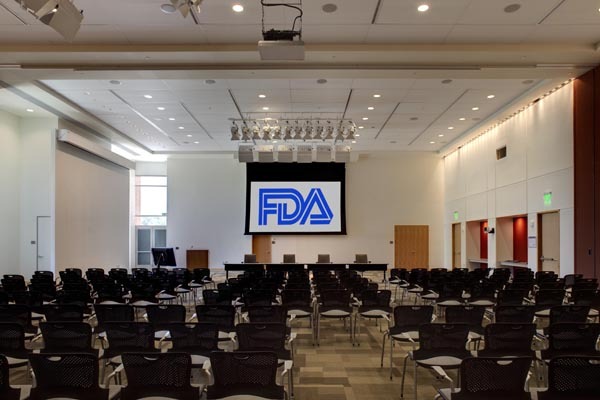 A public meeting where comments from the public are invited will be held on October 30, 2015, at FDA’s White Oak Campus just outside of Washington, DC. The purpose of this meeting is to inform the public of the activities taking place as a result of the July memorandum, invite oral comments from interested parties, and provide information about how to submit written comments, data, or other information to the docket. GSA plans to participate in that meeting, but others who wish to attend are encouraged to register as well. John P. Holdren, Howard Shelanski, Darci Vetter, and Christy Goldfuss. “Improving Transparency and Ensuring Continued Safety in Biotechnology,” White House Blog, July 2, 2015.